Dennis Fehling, CPDT-KA, CBATI is one of a very few men, as he puts it, “in the field of gentle positive training” since he’s a Guild Certified Tellington TTouch Practitioner. He’d like to change that and encourages men to learn about Tellington TTouch. 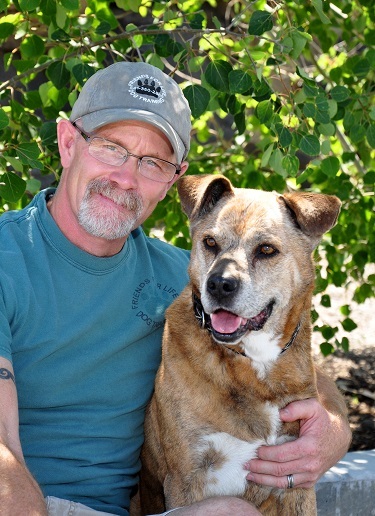 He’s been training dogs for 10 years, specializes in aggression and lives in Central Oregon. The other unique thing about Dennis is that he recently became one of the first certified BAT Instructors (Behavior Adjustment Training) in the world to be certified by the founder Grisha Stewart and the first male to hold that title! 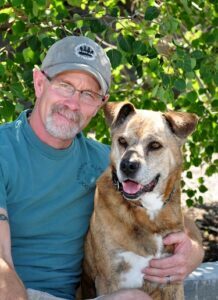 And he has a wolf-dog, Cole, who assists him in his BAT work! My podcast interview of Dennis will be posted on Monday. Dennis talks about how he uses TTouch with his BAT work and he told me that he doesn’t think he’d be as successful without it.